We are glad to inform you that we’ve launched a beta-version of “Mobile trading” service. The current version allows you to trade using Fix, Pro, and Demo accounts, to open, close and change orders on any type of trading instruments. An opportunity to specify StopLoss and TakeProfit parameters for Fix & Demo accounts, opening a new order, for Pro accounts – you can only modify them after opening an order. An opportunity to place pending orders of any type – Buy Stop, Sell Stop, Buy Limit, Sell Limit. 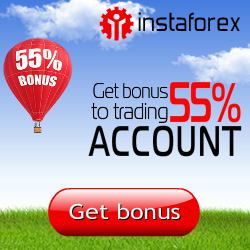 An opportunity to trade using any type of real Fix, Pro & Demo accounts without any restrictions. RoboForex is developing a unique service for mobile trading, which enables you to open, close and change orders on your trading account using any type of mobile phone, smartphone or PDA running under Symbian (Nokia), Android, Windows Mobile, iPhone and some other operating systems. Please, note that you don’t have to install any special software or additional applications in order to use «Mobile Trading» service. All you need is a mobile device with an Internet connection and a trading account at RoboForex! To learn more detailed information on the “Mobile Trading” and short-range service development plans, please, visit our site, “Mobile Forex" section.